eyemasq A shade of the dramatic, where different is all there is. 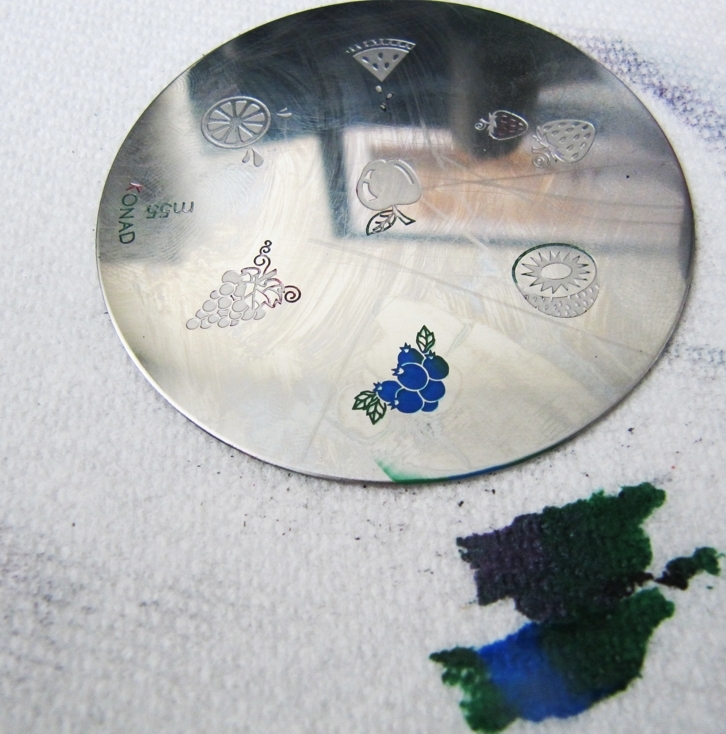 Over the past few months I’ve had three posts about Konad Nail Stamping. Not that long ago I had a mini-haul and got a bunch of new plates and some new Konad Special Nail Polishes. 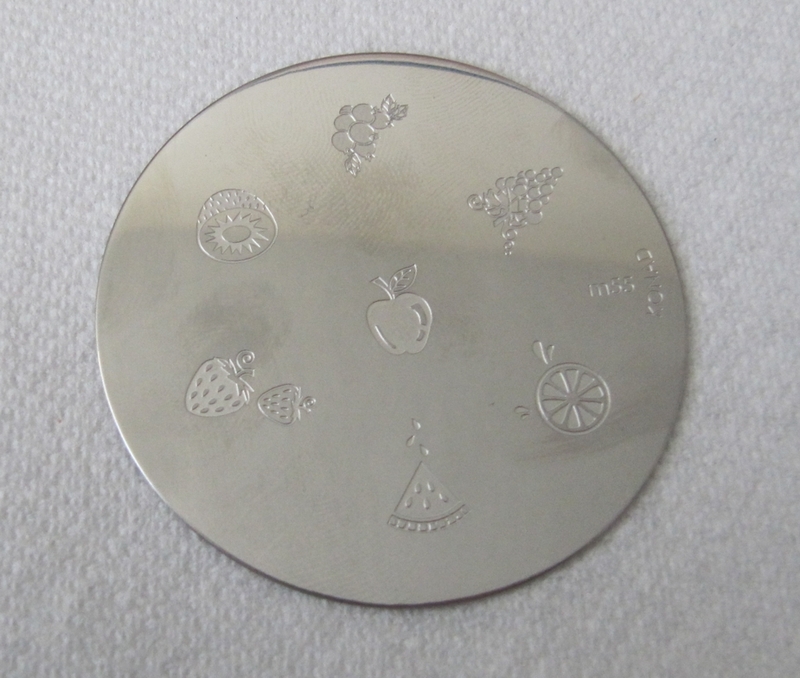 From that haul, one of the plates I was dying to try was the m55 stamping plate with a bunch of fruit designs on it. I thought this was just too cute and couldn’t pass it up when I saw it. 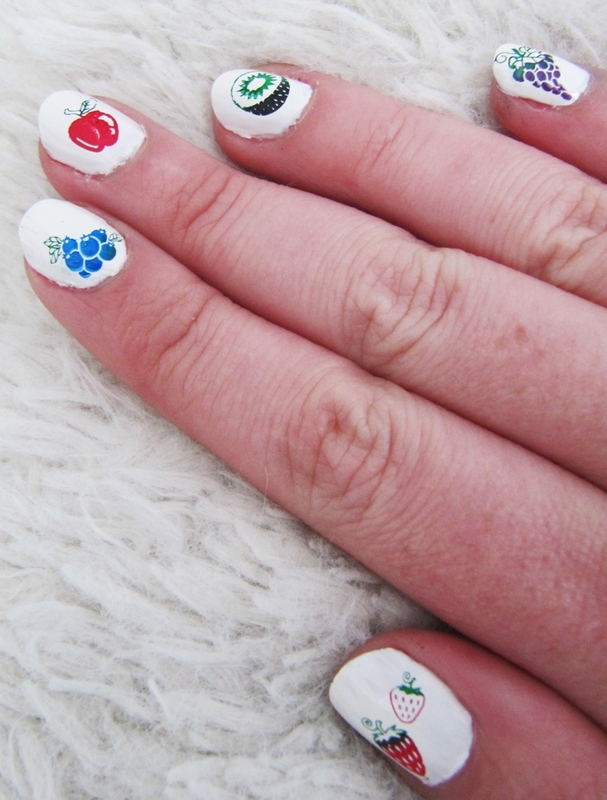 Wouldn’t you say that it’s the perfect time of year to be sporting fresh fruit on your finger tips!?!? This was my first time using the nail stamping plates where I had to use multiple colours of nail polish on the same design. I wasn’t sure how well that would work out…but it was surprisingly easy. Want to know how?? Let’s get started with the picture tutorial! Select a base colour of nail varnish for your nails. 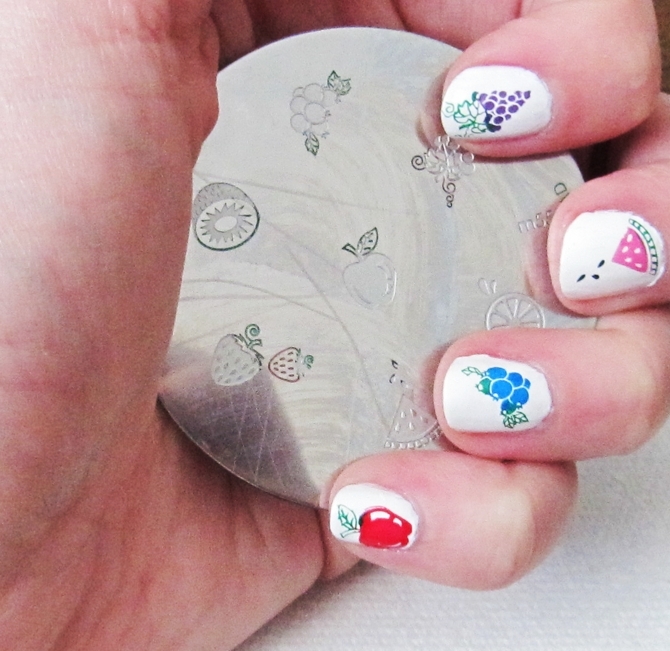 Because I knew I was going to do multi-coloured fruit, I chose to use a white nail polish so I could have a blank canvas. 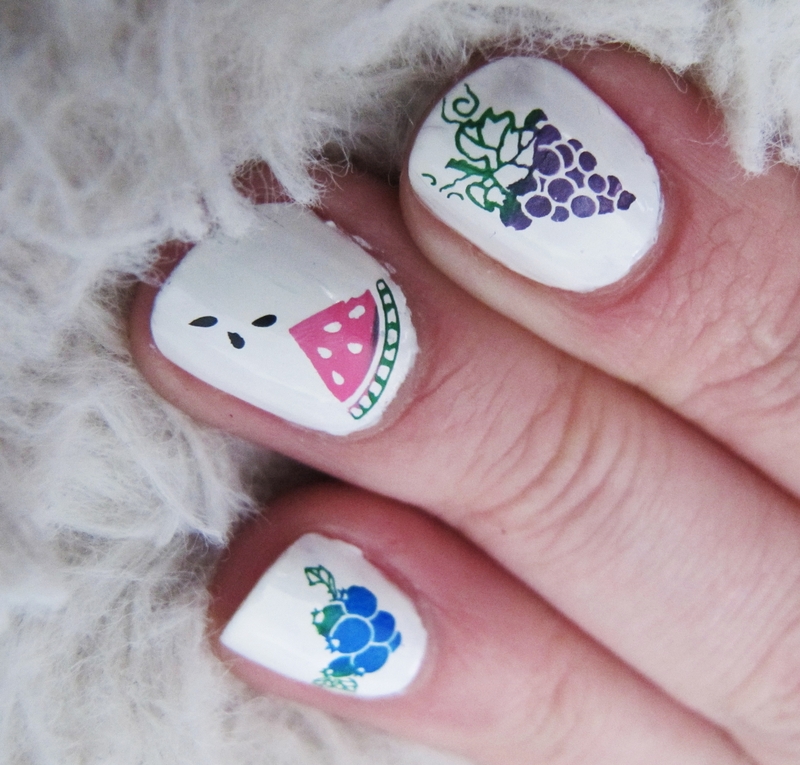 After all, I wanted the focus of this manicure to be on the fruit, not the base. For this step, I used Paper Mache nail polish from Fingerpaints (available at Sally Beauty Supply). Next, lay your plate flat on a piece of paper towel and be sure to have your scraper, stamper and a cotton ball ready (your cotton ball should have some nail polish remover on it). 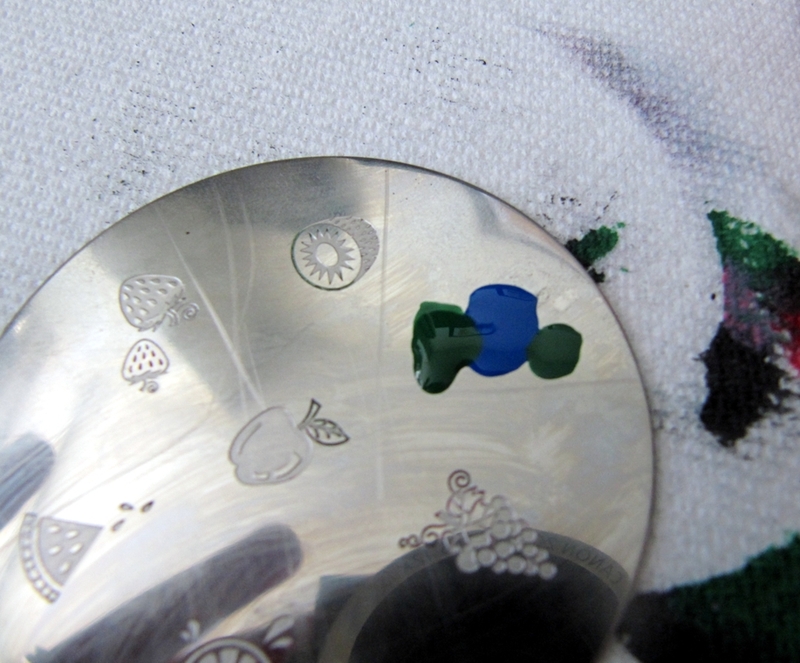 Quickly press the stamp down onto the design, transferring the design to your stamp. 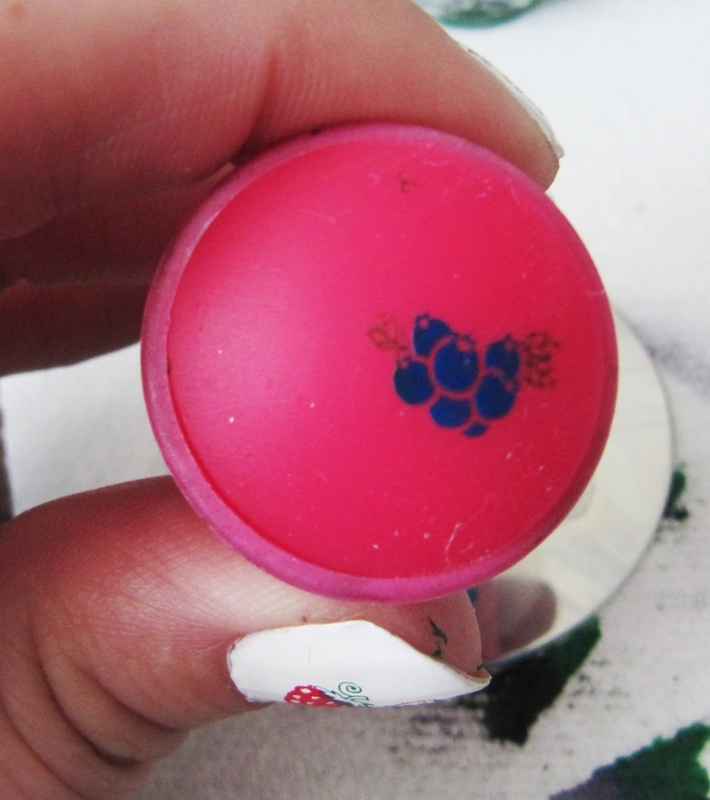 Now, you want to either press, or roll the stamp across the surface of your nail. 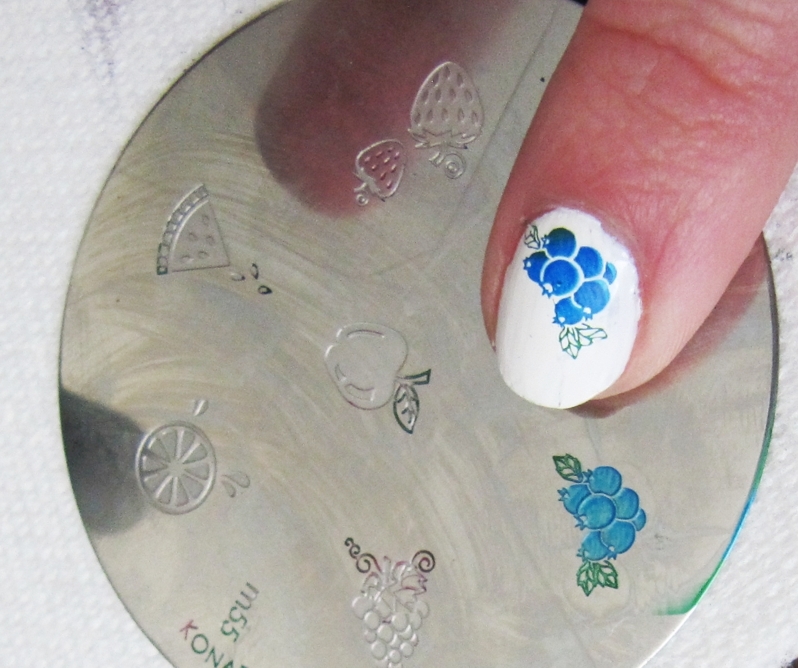 This will transfer the design from the stamp to your nail. Grab your cotton swab, wipe clean the scraper, stamp and nail plate. 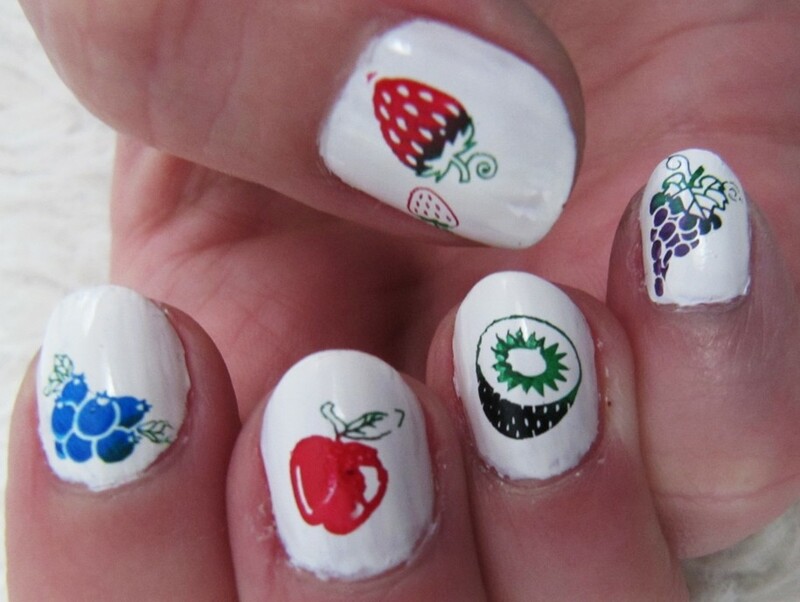 So tell me, what do you think of this Fruity Manicure??? 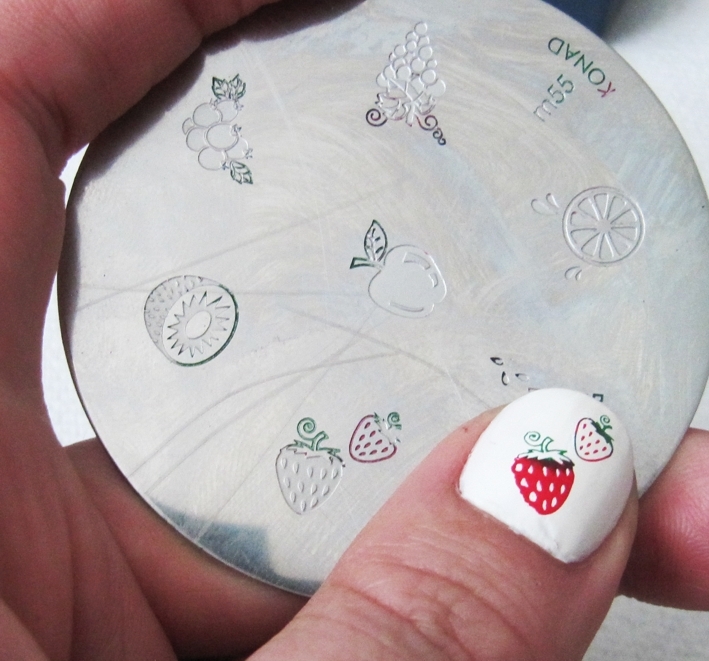 Do you have a favourite Konad nail plate you like to use for stamping? 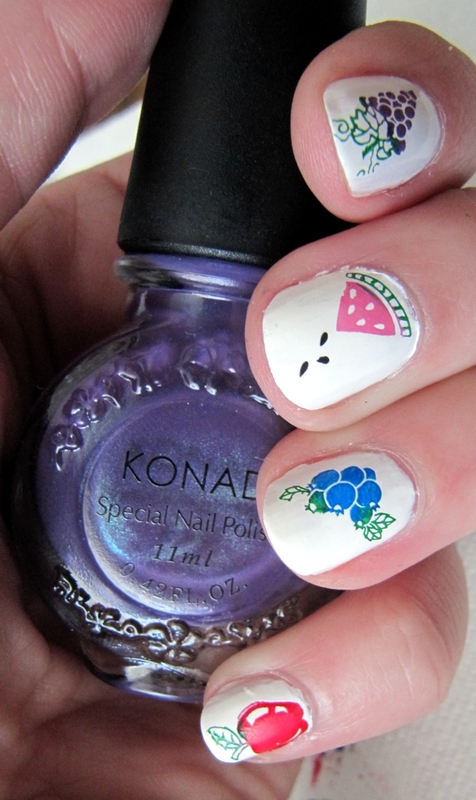 Please check out my full Konad Nail Tutorial here.